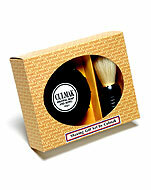 The Culmak famous easy-grip dimple handle with natural plain bristle providing a superb lather for a close and comfortable shave. 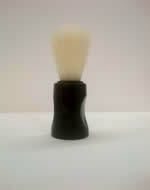 The famous easy-grip dimple handle with luxurious badger effect bristle will prepare your beard for the ultimate shave. 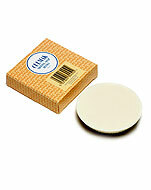 A sturdy re-usable lidded soap bowl to keep your shaving soap fresh and clean, inc one soap tablet. 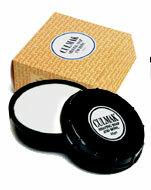 A luxurious, full lathering shaving soap in the old style particularly mild on sensitive skin. Order two for free delivery. 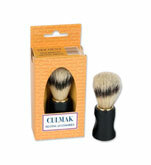 The pure bristle shaving brush with Culmak's famous full lathering shaving soap makes a great economical gift. 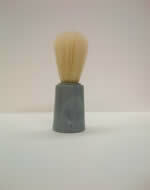 One of our lowest priced and extremely popular brushes for those who want a brush supplied loose without decorated display carton. Prices include UK VAT and for orders less than £7.00 please add £1.50 to cover P & P. Over £7.00 P & P is free. Copyright© Culmak, All Rights Reserved.